We vowed it would never happen! Swore it would never happen! Even pinky promised and sealed it with a kiss. We were destined for great things. We knew this. We knew we’d be going together and the time was drawing near. We even kept track of the time. We looked up and out only to find that we had been left behind! All that planning and preparedness only to find ourselves. We're sorry we forgot you! Welcome to my blog. I started my blog about two years back and it has given me the opportunity to meet a lot of wonderful people from all over the world. I've made so many wonderful and long lasting friendships through blogging, and it's given me the opportunity to follow the art world and artists I love so much. I am quite a free-spirited individual with a love for so many things. Staying still and staying put are not things which come easily to me. Like that of a Gypsy restlessness prevails. Although my blog has remained quiet for the better part of it's life, things are slowing down for me and I forsee that this year will bring me more time to devote to it's coming back to life. Thanks for stopping by and enjoy this wonderful event. I appreciate your joining me in the fifth and final year of the One World One Heart event hosted by the wonderful, talented and amazing Lisa of A Whimsical Bohemian. I am thrilled to be participating in this years One World One Heart event which includes a spectacular array of blogs and bloggers. It promises to be a fun filled WORLDWIDE event where we can meet people, make new friends and strengthen the friendships we already have. For all of the details and to read more on this event please go HERE. This event will run from today January 30, 2011 until February 17, 2011. Participants are hosting giveaways for door prizes for stopping by their blogs so be sure and stop by.! Before you run off, don't forget to read and sign up for my giveaway. I am giving away FOUR DOOR PRIZES during this event. There will be one grand prize and three runner up prizes given away. The Grand Prize will include a SURPRISE along with the following items pictured below. With Spring soon heading out way I've selected items in colors to help you think about Spring. There is a set of handmade cards, a decorative Tussie Mussie, a decorative Bonnet Ornament and a Bunny Gift Tag. The three runner up prizes will remain a surprise. If you like surprises and are interested in my giveaway items please sing up for the draw. Have fun during OWOH and Good Luck in the drawings. 1. Your ENTRY will be your COMMENT and needs to be left on THIS POST ONLY to be considered an entry for my giveaway. 1 1/2. Make sure you leave an email address or a way to contact you if you should win a prize. 2. 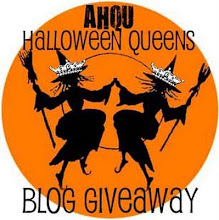 You must have a BLOG to enter my giveaway. 3. You are allowed ONE entry only so please comment only ONCE on this post. 4. 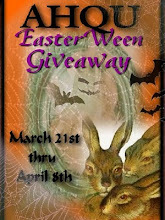 Entries for my giveaway will close at 11:59 p.m. (Central Time) Wed., February 16, 2011. 5. The winners of my prizes will be announced on my blog on Thursday, February 17, 2011. Winners will also receive an email from me to let them know they've won and to get their name and mailing address so I can send them their prize. Hey there Jody! How are you? I'm so glad you stopped by for OWOH. That's where I met you 2 years ago and that's precisely the reason I participate. I am so grateful for all the wonderful people, just like you, that I've met as a result. What a wonderful event! I would love to be included in this great giveaway! I hope you meet tons of people from all over the world, that's why this blogging is soooo fun! 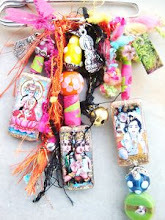 Thank you for stopping by my Blog http://artinmybag.wordpress.com/ and I hope you enjoy OWOH this year as much as I am. Lovely giveaway! Pls count me :) Thank you for the chance to win! I hope you blog a lot this year, as I have a feeling it's going to be great! What a mystery. I do love a surprise! I love surprises! Your giveaway goodies look fantastic! Please add my name to the hat. Jody, I loved your intro to the giveaway, I completely neglected the theme! Thanks for stopping by, and please include me in yours. I need to get started on my bootique promotion! Hi there! Great blog you've got here. So glad to meet you and I hope you are having fun at the OWOH, I know I am! Hugs! Wow- what else can I say- your talent is beautiful. It has been an amazing visit to your blog, thank you so much for giving us this peek into your world we are now blessed. Hi Jodi, how are you. Hiya Jodi! Nice to meet you..please count me in to win and thanks for visiting my blog too! 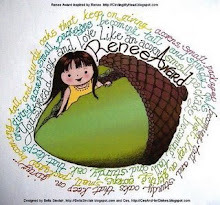 Thanks so much for stopping over and for leaving such sweet comments on my blog during One World One Heart. I have enjoyed reading your profile and blog post today. I see that you know Janelle from Sweet Bee Cottage. She is so fun. I will happily include your name in the pot for my Very Cherry earring giveaway this month. Please come back a visit me soon. How adorable! Thank you for visiting my blog. I AM having fun! It's my first time doing this event. What fun! I enjoyed visiting your blog, and I hope you will visit mine, too. I could use a dose of spring as we are buried in snow at this moment! Love your blog...a fellow gypsy heart for sure. Your gifts are awesome...please put my name in the hat or the generator...LOL!! Thank you for coming to my whimsical place today...I always love my visitors. ...later when you have time please visit back and join? I will attach myself to yours as well. lovely tale. Please enter me in your giveaway, even though I have no clue what a tussie mussie is, LOL! Hi! What wonderful thoughtful prizes. Thanks for stopping by my blog to visit. I really appreciate it. And thanks for participating in OWOH event. It's such a wonderful experience getting to know more people out in blog land. Please add my name to your drawing. 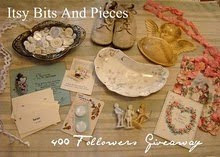 Hi Jodi What a wonderful blog and a giveaway full of surprises. You are so generous! Thanks for dropping by. Ah, beautiful pictures!!! 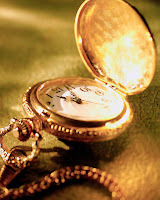 The pocket watch is great!! Love that. Thank you so much for stopping by my blog. Thank you for inviting me over. Your blog is lovely. Hi Thanks for dropping by for OWOH and the lovely comment! Nice to meet you. I enjoyed your post! And please count me in! Have fun!! Toss my name in the hat, please. Hi Jodi: Hot Summer Greetings to you from Australia! I loved your post.... and thank you for sharing your lovely creations with us on the OWOH trip. Oh how I'd so love to visit the US again, and travel to the places I didn't see... still dreaming! Thank you for visitng my blog! I'm flying in from the OWOH journey. Thank you for being involved and it is so nice of you to visit my blog! Please enter me in your give-away. I would love to win this fabulous give-away! Thanks for sharing your world to me! Love your prize,ofcoirse I like surprises, and I would looooove to win. Thanks for stopping by my blog and your kind comment on my banner - it was made for me by my daughter! I'd love to receive a tussie mussie - not well know over here in the UK and I'm actually trying to start a business with a friend selling the flower versions. 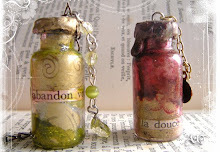 Thanks for visiting my blog (3 AM Designs) and leaving a comment about my necklace! I've enjoyed looking around your blog - very cheerful! Love your surprises! Have fun with OWOH! Hi Jodi and so nice to meet you. Your giveaway is beautiful and I would love a chance to win!Oh and I love surprizes too. Lovely to meet you! Your prizes sound wonderful - and yes, we all love surprises don't we! Thanks for already stopping by my giveaway - good luck. Surprises are so much fun! It is so much fun seeing all the different types of things being given away and meet new(to me) bloggers! Please enter me in your giveaway! Lovely post Jodi and your story gave me a chuckle! I live an hour north of Boston, Ma and I love the east coast... though we are having quite the winter this year! It's my first year with the OWOH event and I am number 304! I love surprises... so please enter my name in your giveaway draw! 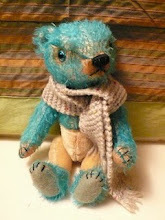 Thanks too for visiting my blog (#289) and leaving a comment on my giveaway. I enjoyed visiting your blog and discovering all sorts of neat things. I love surprises, so I am in for it! Do pop over and visit my blog, too. I am #218. Greetings from Massachusetts! Thanks for visiting my OWOH post! Love your blog! What a great prize! Thanks so much for the chance to win. What a fun blog, and great door prizes too! Thank you for your kind words and for stopping by my blog! Thanks for visiting my blog! I love all your pretty give aways so much! 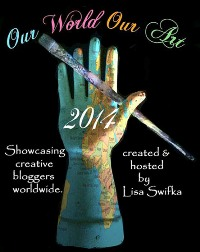 It's so nice to find so many creative bloggers through the One World,One Heart event! In case I'm lucky enough to be one of your winners, my e-mail address is in my blog profile. Please visit my blog again anytime -- Thanks! Great blog and fun giveaways! Please enter me in your drawing! I'm #521 if you'd like to visit me!! It is a pleasure to meet you here! Hi from Ohio. it's nice to meet you. I like the idea of Spring for a gift. :) I'll be back to visit after the event. to win one of your door prizes!! Thanks for entering my give away! I love that Easter surprise package of yours, so I'll guess we both keep our fingers crossed! Have fun at OWOH! Your blog is so pretty! Please enter me in your draw. Your blog post made me smile...thanks for that! What a great giveaway! Thank you for your generosity and the chance to participate. Please visit my blog I'm #323. Have your best OWOH ever. You have a lovely blog and your prize package looks yummy~~put my name in please! Hi Jody... Nice blog. Love your banner - SNAP! I will be back to delve deeper. Hi Jodi! So nice of you to visit. Count me in. Thank you for the nice comment on my blog! I enjoyed my visit here also and would love if you included me in your drawing. I like your door prize assortment and also I love surprises. Please pick me! Also, come on over to visit my blog at number 92. I loved your story with pictures - so appropriate! Thanks for stopping by my place! Can't wait for the 18th to find out who wins what from whom! Hi Jody! Thanks for coming by! This is a blast! Who DOESN'T Like surprises? 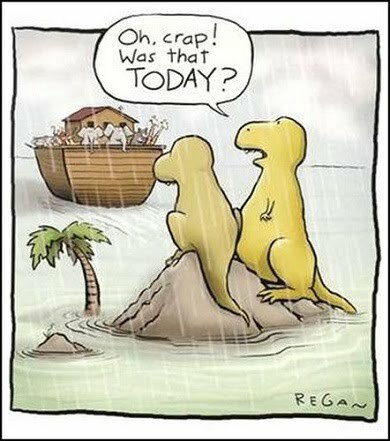 :) Thank you for the chance to enter your giveaway and for the chuckle at the beginning - especially the Noah's Ark cartoon. Thanks for flying by my blog. Very Cute story. Thanks for visiting me, good luck, have fun, & P enter me for a prize. Thanks Jody for dropping by my blog! I love your door prizes! And amazed at your creativity! I enjoyed viewing your blog very much. Isn't Blog Hopping fun ? cute, cute, cute story! please, visit thistle cove farm when you've time. Thank you for visiting my blog! Count me in on your giveaway. It's been great meeting you. I truly enjoyed your story and pictures and can see you are a very creative soul. I am all for surprises and would love to have my name in the hat, so to speak. Thanks for visiting me too! How generous to offer so many giveaways. Thanks for offering so much, and I enjoyed visiting. Yours looks like such a fun blog! Thanks for popping by my blogs (22, 24) and leaving comments! OWOH is so much fun! Hope you're having a great time with it too! Nice to meet you. Thank you so much for your lovely comments on my blog and for following me. Good luck in my giveaway. I look forward to getting to know you. Please count me into your great giveaway. Thanks for visiting my blog. Your giveaway looks interesting! Please enter me in it. I would love to be in your draw as well. Your giveaway is lovely, and of course I am intrigued by the surprise! Sweet story and dare I say I Love surprizes!!! Count me in and I'm #65on the list, stop on by if you havent yet! Ha my word verification is Shine how perfect!!! Thank you for you visit to my One World Post. Please add me to your list as well, gorgeous blog you have ! very generous giveaway! please come visit my blog too! Thank you fro visiting my blog. I hope you enjoyed it. 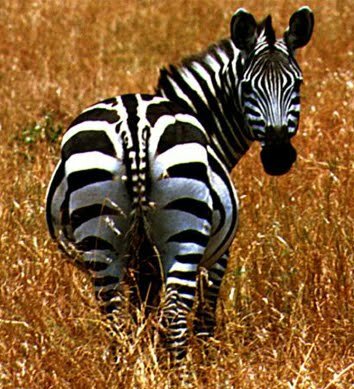 You made me laugh this morning, and for that I thank you!! The picture with the two dinos missing the arc was so very funny. Hi, thanks for stopping by us (#208) and for the comment you left. Hihihihi, liked the burning birthday cake, life's is like that sometimes. What fun! I love surprises and would love to be in the draw. Thank you. Thanks for stopping by my blog earlier, too! OWOH is such a wonderful way to meet some truly amazing, interesting and very talented people and have a bit of fun, too! Visiting from One World One Heart 2011! Thank you for dropping by. OOOO I love surprises !!! Nice to meet you thanks for visiting my blog Have fun with OWOH! Of course I'll enter your giveaway! Thanks for visiting Crafty Geordi and entering mine. Love your photos. That and your story remind me of Hearst Castle in San Simeon, Ca. Great blog, you have a nice way with words. Great giveaway too, please count me in. 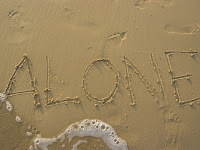 Thank-you so much for visting my blog, and stop by anytime. lovely doorprizes! lovely meeting you! i am glad i have joined OWOH and meet lovely people like you! Hi Jody nice to see you again. As always your blog is beautiful. What a wonderful blog and giveways. Thanks for stopping by my blog #634 and leaving a nice comment. Love those prizes, so throw my name into the hat!! Thanks again and hope you're having a great week. Hello there, thanks for stopping by! So nice to have met you ~ looking forward to checking in on you in the future! OWOH is great!! Thank you for your visit! Greetings from a fellow blogger / crafter in the UK. I enjoyed my visit here and your give-away is lovely, I'll keep my fingers crossed. Thank you for being part of this amazing journey of happiness. Hi Jody, so nice to meet you! You have a wonderful blog here and your giveaway prizes are so springy...YEAH...can't wait for spring! Please enter me in your drawing. Thanks so much for stopping by and entering my giveaway. Hello Jody what a lovely surpise that you visited my blog. Yours is great, so is your give away ! Hi Jodi, thanks for visiting me I enjoyed reading about you thanks for sharing. Please add me to your list. thanks for stopping by my blog. I am so excited to participate in my first OWOH blog tour . Your creativity is lovely. I hope I am lucky enough to win. So nice to meet you, Jody--thank you for visiting my blog! Have fun with OWOH--isn't it great to be able to meet so many people from all over the world??!!! I love your very active blog. Forgive the overused expression, but it is eye candy. Your prizes are lovely and I would be forever grateful to win. Hello, greetings from Cinicnnati, Ohio! Nice to meet you. Beautiful giveaway. Thank you so much for the chance to win such great prizes. Hi Jody, thanks for stopping by my blog. Enjoyed your story. Please count me in on your drawing! Hi there!!!! Thank you for visiting my blog too!!! Love your art shown here! pretty cool stuff on your blog. thanks for visiting mine! This is fantastic! Thanks for playing! Jody,So, pleased to meet you , it was kind of you to stop by my blog. This is my first OWOH trip and I too am enjoying the journey. Hi Jody! Thanks so much for taking the time to visit my blog and entering my giveaway. I really enjoyed visiting and love your Spring themed prizes! It really is fun going around a visiting everyone's blog and meeting new people. What a lovely blog you have and such a wonderful giveaway! Nice to meet you through OWOH! Thanks so much for visiting my blog the other day. Your's is a delight to read. Enjoy your journey of world wide blogs! Thank you for visiting and entering my giveaway! I think your giveaways are so sweet and Spring-like! Thank you for offering them, and have fun visiting blogs! Thanks for visiting my blog via OWOH and it is so nice getting to know you and everybody else on this little hop. Wonderful door prize and I love surprises. Oh I love surprises! Your blog is a fun place to visit. Please enter me in your draw and come on over to my blog #348 and enter mine if you wish. Thanks! Please surprise me with my win! Hi Jodi, I love to join you! It is great meeting you this way, it is a joy to walk around and look around at your blog! 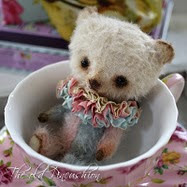 OWOH is taking me to some wonderful and creative blogs! I just love visiting them all! Such a lovely blog, thanks for sharing part of yourself with us! Nice to meet you! So happy to meet you. Love love your site and your giveaway is awesome. Wonderful story at the beginning and such a cute cartoon at the end with a great touch of sadness. You have lovely giveaways, I do hope I win something. Thanks for stopping by my blog Blossoms Bloomer and the lovely comment on the The Queen Wears Boot. I am totally impressed with your sense of humor. Love what you have chosen for us, too. I'm number 11 and want to thank you for dropping by. I do love surprises so count me in. You have such a pretty giveaway! Please count me in! I wanted to thank you for visiting my blog and leaving such warm comments. I am so excited to see all the new art here at OWOH. I love your story and would like to be entered in your drawing.